Welcome to the 2018-2019 Richland school year! The Physical Education Department want to share with you some of the changes in the Physical Education department. There is a vital link between mind and body. Recognizing that, the Illinois Department of Education has established Standards of Learning for Physical Education. These Standards of Learning encompass the following areas: Skilled Movement, Movement Principles and Concepts, Personal Fitness, Responsible Behaviors, and Physically Active Lifestyle. Third through eighth grade students will be tested on Physical Fitness development in the fall and spring with the FitnessGram Physical Fitness Testing Program. Testing areas include cardiovascular endurance, upper body strength, abdominal strength, and flexibility. Additional testing will check progress in speed, power, and agility. During the school year your child will also receive instruction in health areas such as: nutrition, exercise, fitness, and body systems. It is a goal of the Physical Education Department to prepare children to make healthy lifestyle choices and enjoy being physically active. Please check out the other pages of this site. There is important info regarding physical fitness standards and our Physical Education policies on grading, dress, and illness. I anticipate a great school year in Physical Education with your child! Your help and cooperation is vital to the success of our Physical Education Program. 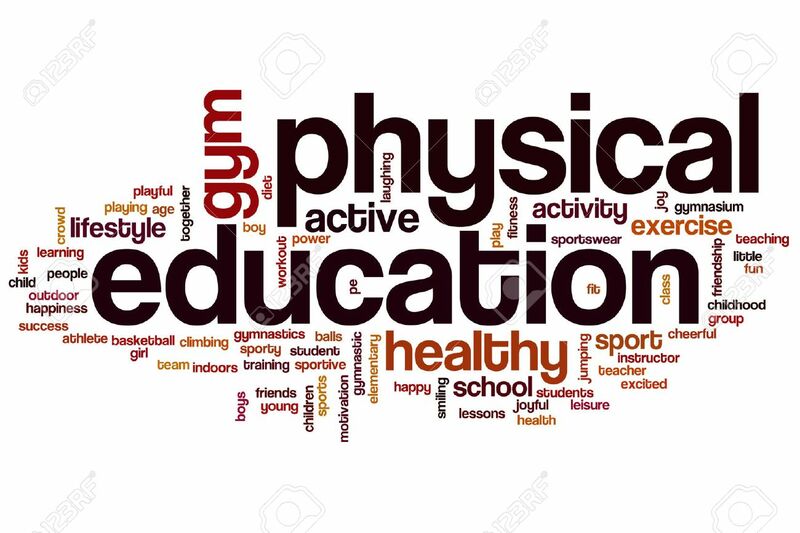 If you have any questions or concerns, please feel free to get in touch with your child's Physical Education teacher through the contact link on the site page.